*Below is a short paper I wrote for the De La Salle University Masters in Communication in Applied Media Studies. I thought it would be best to share this with the public and my students(Especially for my SHS Tech empowerment students for Veritas School) given the circumstances that more and more Filipinos today are creating and sharing their ideas online. The rise of online video tutorial websites and short courses through e-books, blogs and interactive PDFs have slowly been adopted today. The likes of www.Lynda.com, www.code.org, www.skillshare.com, www.digitaltutors.com, www.imadigitalmarketer.com, independent e-book authors and independent video producers on http://www.youtube.com are slowly changing the landscape of self-study learning. With the use of personal computers and the internet, it has made possible for educators to teach more students even from far away places in the Philippines. Similar to the video, I share the same dream of Mark Zuckerberg on being able to help as many people as I can through the use of the internet. For the moment, I would like to refer to these reference materials (Youtube Video Tutorials, Online website courses, blog & website tutorials, interactive e-book short courses) created by various contributors (Evangelist, Professors/Teachers, Industry Practitioners) as the Independent Online Vocational School Industry. Even though this new revolution of learning is created through technology, I believe that its overall impact will still rely on the expertise and ideas of the people who create them. That is why I would like to recommend some policies that I think would help ensure that it will always serve the best interest of the students who will avail them. What would these code of ethics contain? Below are a few of my ideas and recommendations for IOVS practitioners to help ensure that most of the content used for education will help uplift society through technology. The authors under the IOVS must always give a short profile of themselves and background of their expertise for every resource material they publish online. Their profile and background should always be related to the resource material they are promoting, otherwise they should include a disclaimer. All softwares, artworks,files and multimedia material that are included or used in these tutorials that is not owned by the author, should have permission from the owner ,if it is used for profit, or be properly credited if the author has offered to give it for free to the community. The authors under the IOVS must promise to publish all original tutorials. Under no circumstances should an author replicate another author’s work unless the latter gives permission to do so. The author who also replicates another author’s tutorial must have probable cause and properly credit the original author. (i.e. Convert tutorials from english to tagalog/ilonggo/ilokano/Sign language, Original tutorial software is out of date). Under no circumstances that an author publicly insult, discredit or bash a fellow author or commenter. Authors should also add a disclaimer that these short courses are not an equivalent of a elementary, high school, undergraduate or graduate diploma. The IOVS can only provide certification according to the scope of the program that is provided by the local government or abroad. A certificate program should be at least 10-30 hours of recorded hands on training that also requires a final output to be verified by the governing IOVS representative. Authors should always try to refrain from using foul language in their tutorials. A lot of people, especially the ones who are just starting out in the multimedia industry, have no idea about pricing their services for video production, graphic design or animation in the Philippines.And because of this, it has made the industry under-value the skills, training and time , artists have invested in their respected fields for years. Hence the start of the trend of the modern day, starving artist cliche in multimedia. I remember a colleague of mine argued that the only people who call the shots in the industry are the producers and the clients. And the only way to convince them to hire you is to set the lowest price possible until they can maximize their profit. While I have no arguments on their objectives about profit, I find it troubling that they don’t see acquiring your skills as an investment or added value to their brand. And I don’t believe that to be hired, means having to price your services so low, that it will then be the base price for other clients to compare. Good service or skill requires fair compensation and you should not be afraid to say NO to clients if they are being unreasonable. The relationship of a client and artist should be a two-way thing and not just on the side of the client or producer. And because of this presumption by artists in the industry (including my colleague), many oftentimes fall victim to a producer’s cheats and manipulation of undercutting and corruption. The most sickening part of though,is that artists in the industry are brainwashed to accept this as their reality. This is also why most of our most talented professionals choose to work abroad instead. These cheats are getting more and more common amongst the local advertising and tv broadcasting circle of producers in the philippines. They have somewhat created a cartel amongst themselves so that they can make the most profit, leaving us artists to fend for their scraps and forever be on the losing end of the table. Throughout my career, I am very much against these producers who trick new incoming multimedia professionals into offering their services in exchange for exposure, unreasonably low prices or for SPEC Work. These one-sided deals, act like a cancer that slowly kills the industry as more and more people agree to it. It is up to us to band together and to put a stop to this while we still can. Producers should not dictate the course of the industry. Artists should learn how to demand a fair conpensation for their services and band together to establish a standard price. For this post I thought I would share with you a pricing formula I have researched from several business books that talked about pricing in the service industry. I have used this formula for almost every awarded project to me and it seems to provide a very accurate and competitive estimate in terms of valuing the right price for different types of projects. For any type of project I handle, I look to three key things to find the right estimated value and add them all together so that I can provide my client an educated bid. Below is also a sample of a creative brief so that we can try and use the formula. 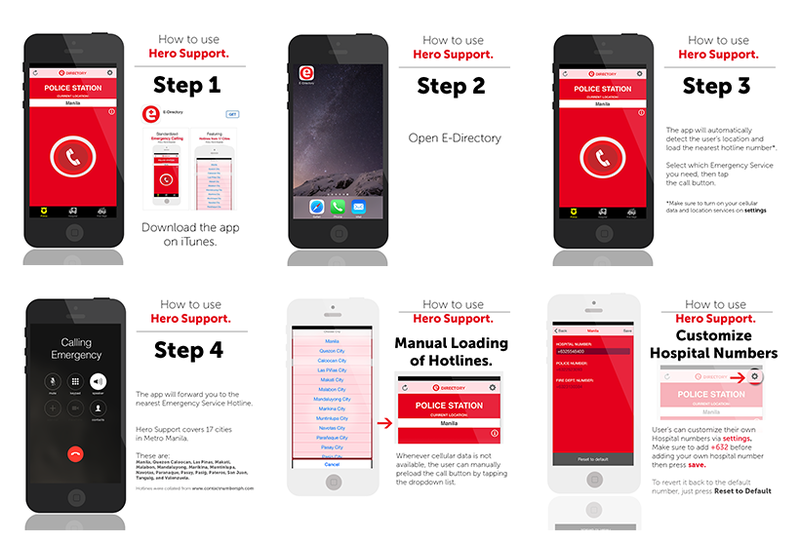 An infographic video project that is 1-3 minute long for a tech startup company. The timetable is one week and would involve two freelance artists.The script, background music, and voice-over audio are provided by the client. In this area, you will need to know the total cost of man-hours. Labor has three things to consider: 1) the type of job and its hourly rate; 2) what certain level of skill it takes to finish the job or its level of difficulty; and 3) the total no. of hours it takes for you to finish the job. *Please take note that if you plan to work in teams, each task is considered a different person so make sure to create a separate computation per artists and add their Skill Level and total no. of hours separately before adding them all up. SKILL LEVEL – The skill level is determined by your supervisor from the outputs you produce either from your practical exam during hiring or from your milestones you reach while working at a corporation. Your skill level also increases as you get more experience through the years thus making you more valuable as you build more tenure. For now, if you are starting out as a freelancer, try to determine how many tasks you can perform and at what speeds and competency you gauge yourselves for each one. Usually everyone starts with a skill level of 1 but if you think you are an above average artist, you can bump up your skill level to 1.5 -2 ( Ex. Graphics Design 2/5, Motion Graphics 4/5, Video Editing, 4/5, Coding 1/5). Mind you the skill level can also be a multiplier to determine the level of difficulty a project is for an artist. 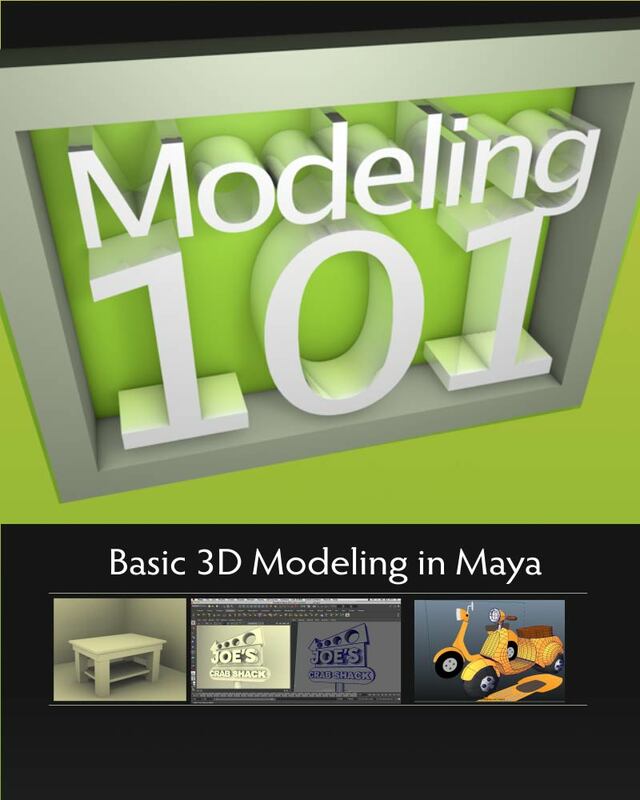 For example, if a certain video project is just a 30second long animation but includes elaborate 3d/2d animations, one can assume that it would be very difficult to finish within a week, thus you might consider setting a skill level of 4-5 when computing for the labor cost. Pricing it higher also helps you get the fair compensation you deserve for those long nights you spend on certain problematic projects. NO. OF HOURS TOTAL – This is the total number of hours you need (or the total estimated no of hours if you are asked for a fixed pricing) for you to complete the project. Be aware also that a person cannot work straight for 24 hours, so 8-10 hours per day is the maximum amount of hours you should consider. If you need to finish a project sooner, you might want to consider hiring extra help to help share the workload. Overhead expenses are the costs of all of the tools and resources you need to be able to do the job. As a freelance consultant, you would only include the equipment and software you use. Otherwise, if you own a company, the overhead would include other things like Rental Cost, Electricity, Internet Connection, etc. EQUIPMENT FEE – This is calculated by adding up all the costs of the tools you use for a project ( Example: Canon Cameras, Tablet, Mouse, Laptop/Editing Machines). After you have added up the cost, determine the lifespan of these tools and divide them by the number of years you think they will last until you need to replace them. (Example: MacBook Pro: Php 150,000/ Lifespan 4 years = 37,500 per year or Php 102/day). By adding this to your cost, you will have the funds to upgrade your equipment before it breaks down without having to use the money you earn from LABOR costs. Trust me, this will be a lifesaver in the future.Because I remember one time, during one of my projects, my laptop was already 4 years old. In the middle of the project, it suddenly stopped working with only 2 days before the deadline.That day I ended up buying a new laptop using my savings for almost 3 years. Lesson learned, I hope you won’t experience the same thing but its best to always come prepared. SOFTWARE FEE – There is a saying, a designer who uses legitimate software attracts good clients and discourages bad ones. A lot of software companies today offer a monthly fee as low as 2000 pesos a month for a whole bunch of different jobs. Charging your client for software fee lets you negotiate a good downpayment when you explain to your client that the downpayment includes purchasing the software(s) you would use for the project or else you cannot start.This helps weed out the problematic clients. My multimedia business students often ask me, what are the benefits of being employed versus being your own boss. Well, this is it, your markup price. When you are an employee, you are only paid for the work you have done for the month or the project but, if you are a freelancer, the markup is added to the money you earn from labor. It can start out as 10-20% of your overall cost from Labor and overhead; or if you have built your reputation for years, you can raise it to 100%-500%.A lot of freelancers often wonder why even though they have been in the industry for so long, they are just breaking even with their cost of labor and overhead and don’t seem to have the resources to upgrade and grow their business. That is because most of them forget to add a markup price to their costing. Lots of other business add markup to their prices to help grow their business. With the markup price, you can stay competitive and provide a fair cost estimate to a project without sacrificing your compensation. A freelancer could choose to raise or lower their markup to match the client’s budget. By altering the Markup range and not the labor plus overhead, one can be sure that the work is not undervalued and you are fairly compensated. This is the most time-consuming and toxic part of a project. Having to come back and re-work( or sometimes start from scratch) all the things you have done for a project.To help limit this step and stay profitable, I usually state in the contract that my initial bid includes of 4-5 Minor Revisions or 1 Major Revision. 1) Change Font,Font color, font size,Text Position,Text Layout,Text contents. 4) Change Design of Graphic Elements for 1-4 items. Major revisions are the fixes you do to a project that is very time-consuming and difficult to do especially with a tight deadline. Whenever you engage with a client in the Philippines, I know most of the time their payments will be delayed. To compensate for this you want to move on to the next project as soon as possible to make up for lost time.But being bothered with endless revisions even when the project schedule has passed, makes it difficult for you to do move on. Most of the time you might end up with 4-5 projects all on top of each other with the same deadlines because they have compounded on one another through time. To help avoid this I make it a point to tell my clients that as an incentive if the project is done within two weeks, I can give a discount of 5-10% because they have requested fewer revisions or no revisions at all for the project. That encourages them to be more careful in their instructions and be less flaky on their mood swings during approval time.This in turn also becomes beneficial for you as a freelancer because now, you are free to entertain other projects after two weeks and avoid compounding with other project schedules. Another thing I do to help avoid this problem is to give incentive or discount to clients who pay-up-front from the start of every project.When a client pays up front I give a 5-10% discount from the initial costing ( which I deduct from my markup).That way even though the price is discounted, as more projects pay up front, this, in turn, will help increase your cash flow allow you be more profitable. One of the things that are most deadly with working on projects is moving deadlines from the client’s side. This is because you take in more costs as the deadline is changed to a shorter or longer timetable. A) If a project that is set for a 1-week timetable and adjusted to 3 days shorter compared to before, the artist will need to do a lot of overtime to finish the job.This, in turn, will add more working hours to the cost. These additional hours could also make the difficulty level to increase because the artist also needs to work faster. One way to help reduce overtime is to hire another freelancer to share the load. But all in all, making the deadline shorter increases the cost of the project by an estimated 40-60%. B) If a project that is set for a 1-week timetable and was adjusted to extend beyond that because of revisions will also take in costs for you because you will be working on extended hours already. If the client exceeds the agreed revisions agreement, I ask them to pay about 5-20% of the total cost per week. Having to do revisions for past projects on top of new ones limits your focus in doing the job which might get you into trouble later on so try to discourage them anyway you can. As I child I remember sitting in front of the television, waiting for my favorite T.V. show to start. As the show begins, my heart starts raising as I hear the first notes of the intro song from the Television. I see the opening credits being displayed, showing the name of the actors, the title of the episode and the name of the show. My face then breaks into a smile because I know that this would be another great weeknight because ghostbusters was on TV. Growing up while watching these shows on TV, I noticed that opening credits, even though they do not have to do anything with the story, always sets the tone on what to expect from the upcoming episode. If the show’s genre is a comedy, the intro visuals are usually colorful, flamboyant and playful; if the show’s genre is a drama, the intro credits colors are usually monotonous and the animations are more precise and metaphorical; if the show’s genre is a Horror or Suspense Thriller, the visuals are usually ominous and foreboding; and if the genre of the show is about Action, the visuals are more masculine and usually involves slow motion explosions. This gave me the realization that opening credits may have a more important role in storytelling besides just displaying the names of the creators of the TV shows. From this quote, I believe that good opening credits help make the whole story telling experience complete. From its visual representation, it not only aims to present the makers of the show/movie but also tries to translate the emotion of the story from the beginning thus making the narrative introduction more memorable. History of opening titles abroad. 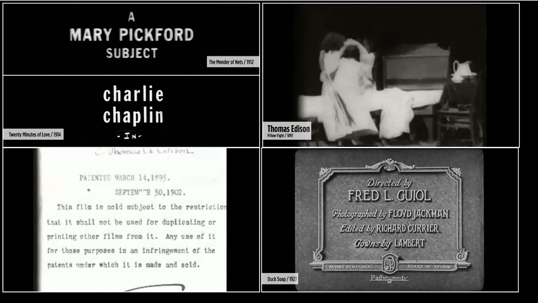 Early title sequences where used by Thomas Edison to mark/label the start and end of the film. Eventually these “labels” evolved with more elaborate in design and eventually was incorporated in today’s movies. Before investigating on Film/TV Titles created in the Philippines from ABS-CBN during 1986, I first wanted to know how it began. At the beginning of my search, finding articles related to film titles in the past proved to be difficult because it has never been considered as a significant part of TV and filmmaking history. Luckily, two professors from BTK (Berliner Technische Kunsthochschule) ; Christian Mahler & Daniel Wangen also shared my curiosity on this subject . To narrate the evolution of title making, they have made a short video documentary that on vimeo.com which described the humble beginnings of this art form. Here are some of the things they said from their documentary. Films before didn’t have the capability of recording the dialogue while shooting. Most of the movies shown relied on the actor’s exaggerated actions thus coining the term “Silent Movies”. To help guide the audience on continuity from multiple scenes, title cards were used to describe what happened next. [helped] create a narrative continuity…[to aid] audiences…follow what they were seeing”. She also said that “[after the incorporation of dialogue and sound]…slowly, title sequences evolved to become more elaborate pieces of [the] film. 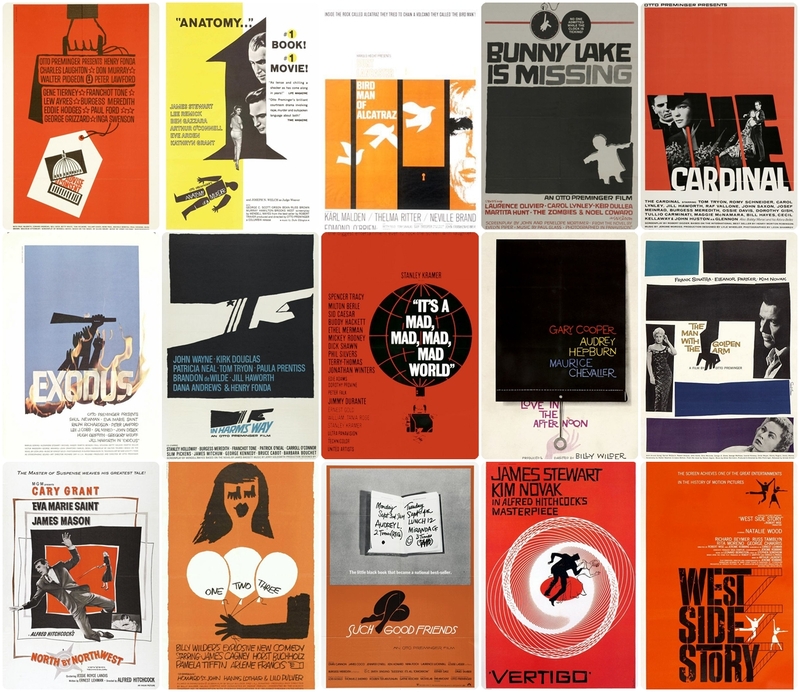 One of the most renowned and influential title designers in the 1950s was Saul Bass. He was one of the early artists that pushed the innovation of creating title cards. Most of his works include some of hollywood’s most prominent film directors namely: Alfred Hitchock from his movie Psycho (1960) & North by Northwest (1959); Martin Scorsese from his movie The God Father (1972), Good fellas(1990) and Casino (1995); Otto Preminger from his movie Anatomy of a Murder (1959); Billy Wilder from his movie The Seven Year Itch (1955); and Stanley Kubrick from the movie The Shining (1980). Other renowned designers during the 1950s included Pablo Ferro,whose movies included Psycho (worked with Pau Bass, 1960) and Dr. Strange Love (1964), and Maurice Binder (He created most of the intro titles for the James Bond Films since 1962). As films transitioned into television in the 1950s-1960s, the same narrative formula was adopted, including the use of these more elaborate film title card designs. Television was now made available to a great number of homes in the 1960s-1970s, and the demand to entertain became mainstream. “The advent of television was a pivotal moment for title design because it forced the major film studios to invest in making cinema more attractive in order to win back a diminishing audience”. — Julia May, The Art Of Film Title Design Throughout Cinema History. This second renaissance of opening titles would then move from film movies to Television shows. Introduction of Television in the Philippines. 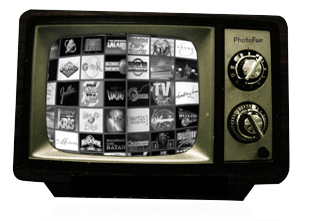 The television in the Philippines was first introduced in 1953. Antonio Quirino, whose family owned the Bolinao Electronics Corporation thought of importing this new technology from America. He planned to use this new technology to help in his brother’s, re-election. He saw it as their secret weapon to win. But Antonio Quirino’s plan to get votes was ineffective due to the lack of television sets in the country at that time.Ramon Magsaysay then replaced his brother, Elpidio Quirino, and became the seventh president of the Philippines. After failing the election, he still saw the potential of television as a tool to communicating information and entertainment to a wider public. So he continued to purse its development. 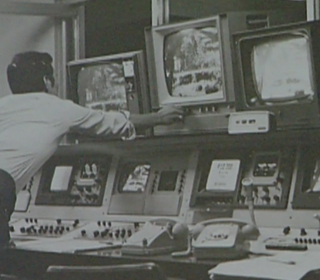 In 1957, the Alto Broadcasting System sold its shares to the Chronicle Broadcasting Network of the Lopezes. Now under a new management, the network was called ABS-CBN, and it became the premiere network in the country. In the 1960s, more stations started broadcasting. These include: Rob Stewart Republic Broadcasting System, Channel 7, which today is now GMA7; the Associated Broadcasting Corporation, Channel 5; the Manila Broadcasting Company on Channel 11; and the Inter-island Broadcasting company on Channel 13. Although there was a spur of new competition among the industry of television in the Philippines, most of the content they air were from American canned shows. Locally produced programs had to compete with these foreign shows. In order to do so, some copied the production styles from American canned shows which included putting opening titles in the beginning of their shows. Most of the actors and actresses of these locally produced shows crossed over from Philippine film movies. The production style and techniques on creating these tv shows were highly influenced by how Philippine film movies were made. So that is why I also did some research regarding the Filipino artists who made opening titles in the 1940s. I believe that by looking back at some of their designs, I can find a connection on how opening titles for TV are made. From the archives of Video 28 at Quezon City, I was able to recover three movies from LVN pictures. These are Ibong Adarna (1941), Flourante at Laura (1949) and Haring Cobra (1951). All of them were directed by Vicente Salumbid and all of their intro titles we created by Teody Carmona. Other movies which he was also involved with were Aladin (1946), Sa Tokyo Ikinasal (1948), Mutya ng Pasig (1950) and Ang Mahiwagang Daigdig ni Pedro Penduko (1973). Teody Carmona might have been the closest thing we have from a Philippine’s version of Saul Bass in terms of designing opening titles. He died from a heart attack on March 1, 1993. 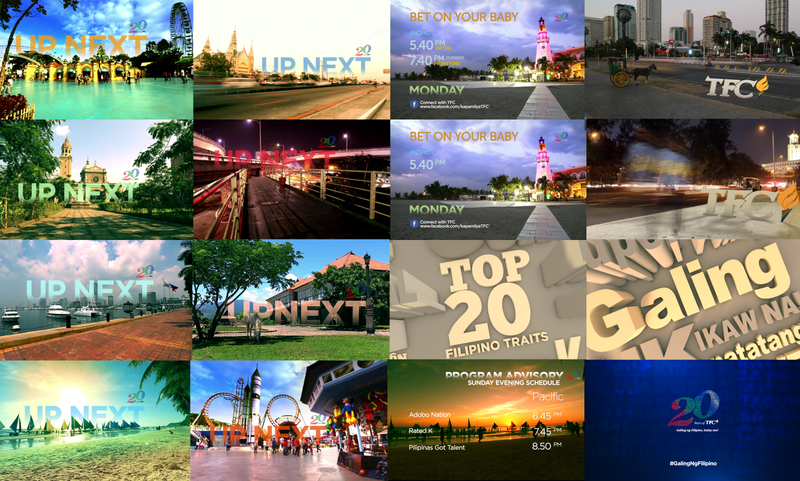 For the 20th Anniversary of the Filipino Channel, we planned to follow up from our last concept on 2012. We have gotten a lot of good feedback from our subscribers about our imaging and branding featuring some of the most iconic places in the Philippines. From the original concept (Which was inspired from lomography and 3D Typography), we wanted to expand its application to not just TV, but also through social media. And so we got our next inspiration from one of the most popular social media platforms today, instagram. 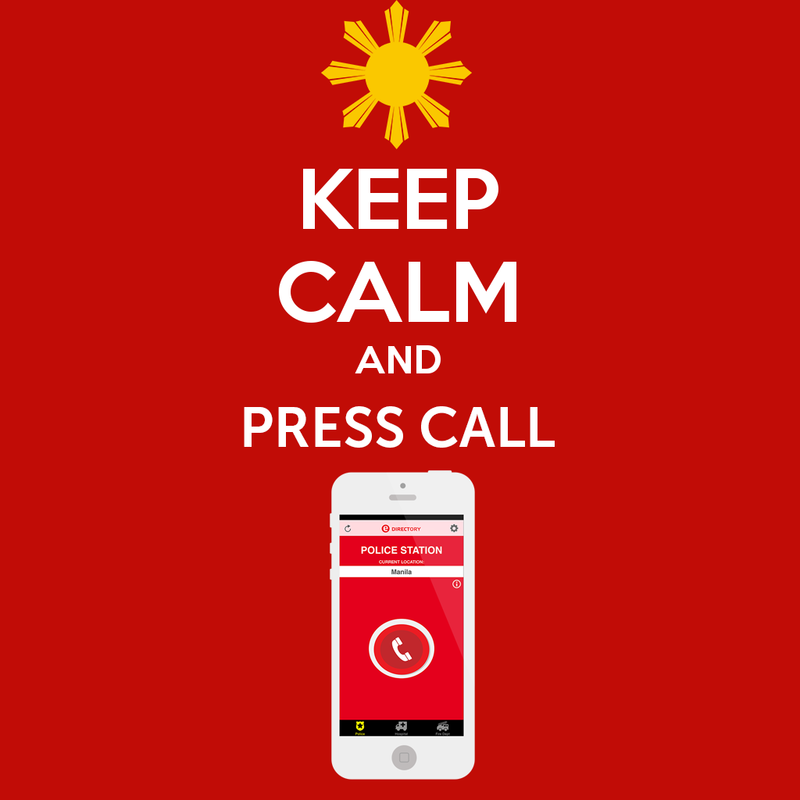 Through hastags and a lot more shoot locations, we plan to create a bigger picture of the greater Filipino. Also since we already executed the treatment of 3D typography, we adopted a more traditional composition. 2D text cropped into videos, similar to magazines and Instagram quotes. 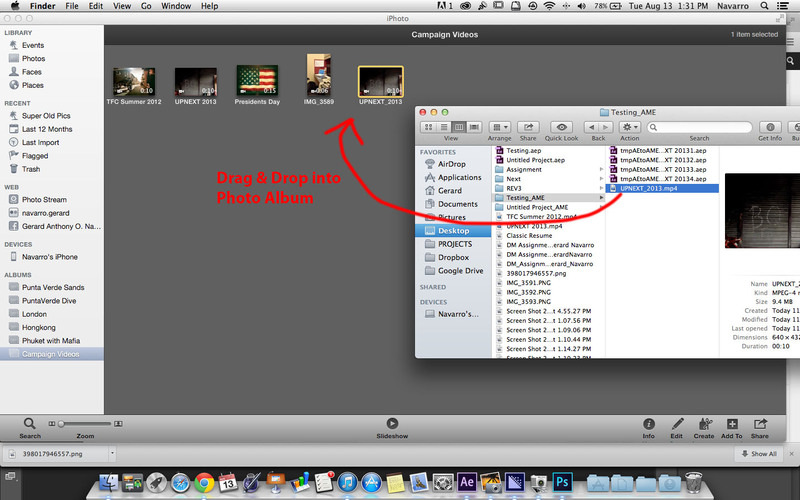 Later we can then resize these videos; maybe change the copy and push the videos to Instagram and Facebook. Here are some of the screen shots. Sample videos to follow. Canon Mark III 5D and an Iphone 5c. I have always wanted to upload some of my works in instagram. I envisioned it to be a new way for The Filipino Channel to connect to its subscribers abroad. I imagine greetings from our channel’s prominent stars, simple branding idents, snippets of our station ID and some of our 15 second logo animations filling our news feeds. 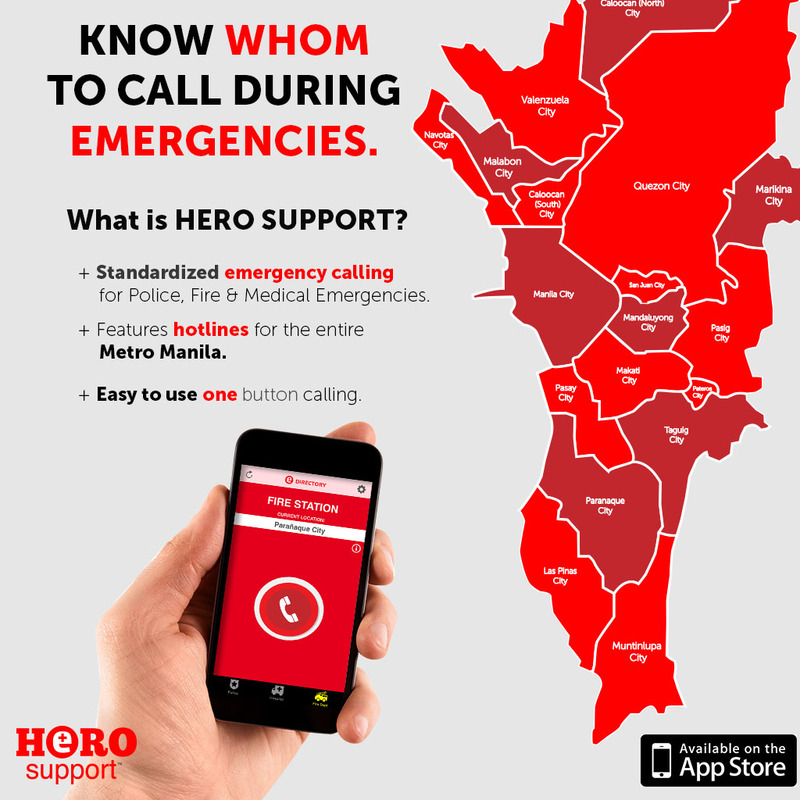 It would be awesome for our subscribers to follow us here and be updated about us on their smart phones. Hence I started experimenting on how to upload some of our existing videos to the camera rolls of my Iphone 5 and into my instagram’s feed. 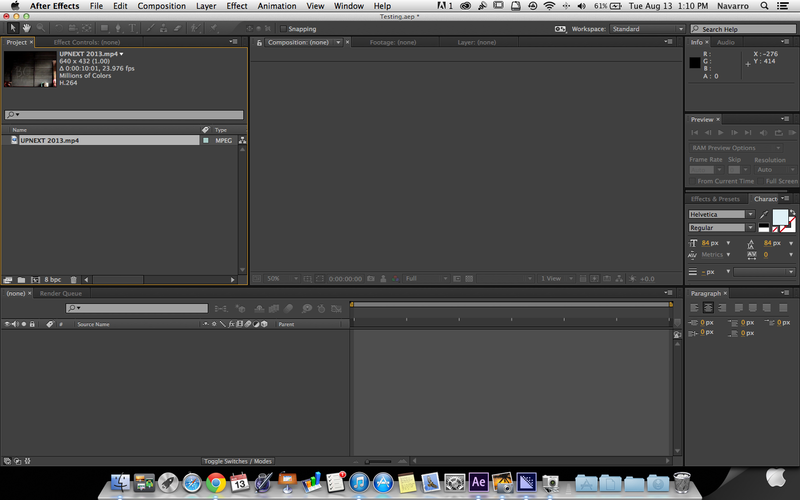 Here you can see I have successfully uploaded two videos from After Effects. I had a little bit of trouble uploading my other videos from my macbook before because most of the videos I rendered on my macbook were in Quicktime format and had a *.mov extension. If you were to try uploading these file types to your instagram, the app would close and crash. So I tried to a few other ways to do it until I came up with a pretty solid workflow. And I’d be happy to share it with everyone in this post. 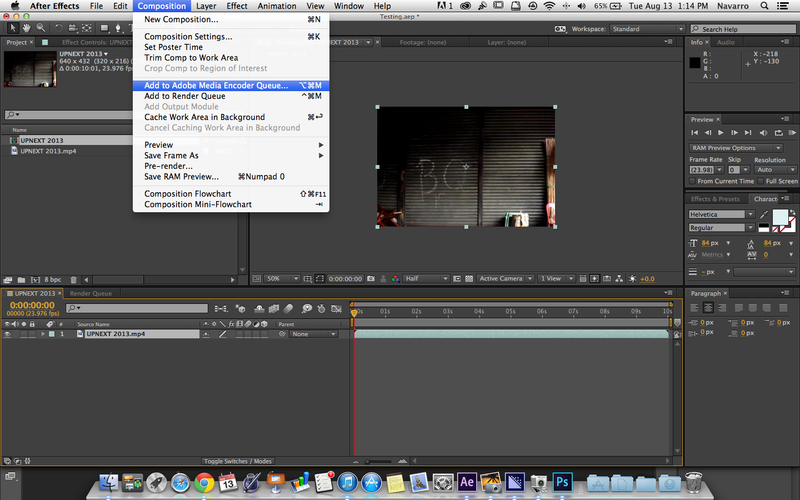 How to upload Adobe After Effects Videos to Instagram. 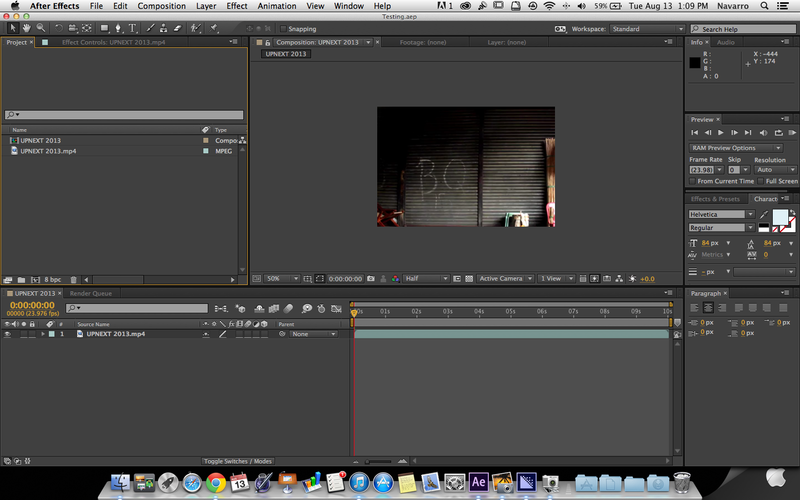 Open Adobe After Effects (I’m using Adobe After Effects CC). 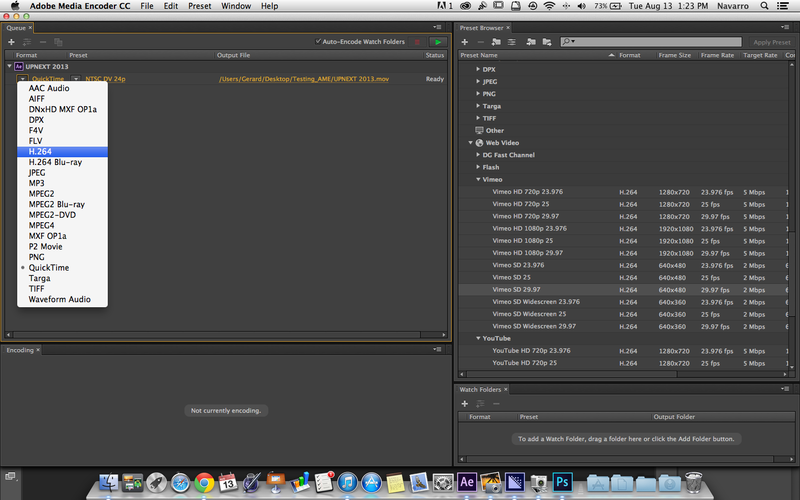 And then Import the video you want to upload to instagram in your AE Project file. Then, create a new composition and add your video. (Make sure the length of your video is under 15seconds). Next, while your comp is selected. 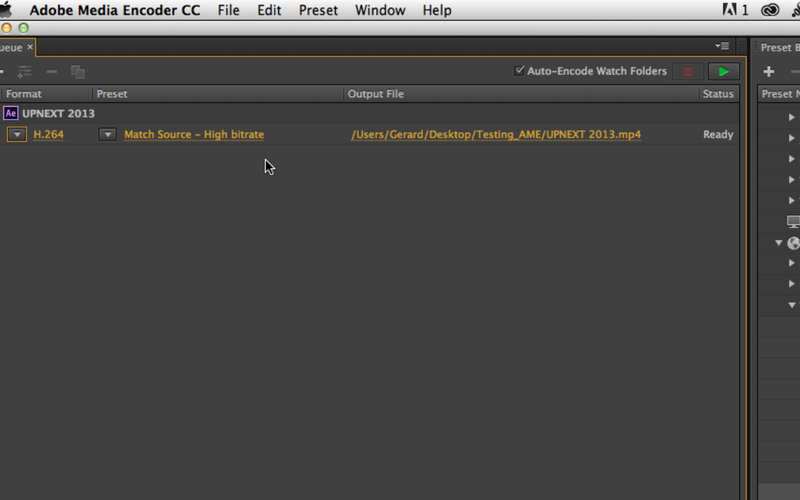 Go to Composition >Add to Adobe Media Encoder. Your Adobe Media Encoder now opens up and adds your AE project to Queue (You are prompted to save your project before your composition is added to Media Encoder. Just click ok and remember the root folder which you assigned your video to be rendered). 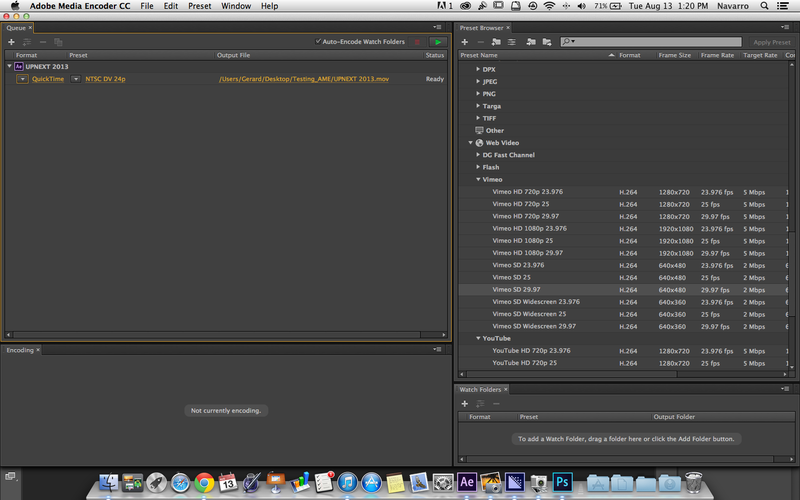 Currently, your rendered settings is set to save your video as Quicktime with a *.mov extension. This file is too big to be uploaded in instagram. Lets change the settings to H.264 (Click the upper left arrow of your render settings and switch it to “H.264”) and by doing this your video will be save to a *.mp4 file extension. Next, Sync your I-phone to your Macbook and open up I-Photo. On I-Photo, go to File>Create New Album. 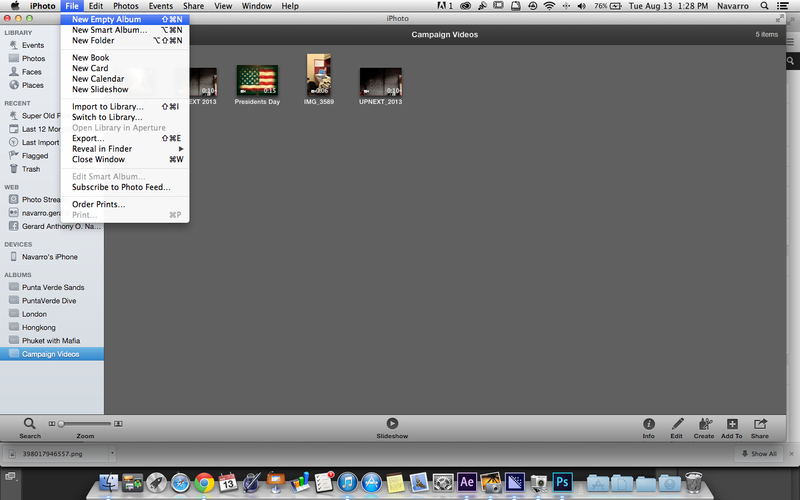 I already created my new album earlier, I named it “Campaign Videos”. You can see it on the left side of the bar on my screen shot. The next thing we need to do is just to open up my finder window and find my rendered file from Adobe Media Encoder; and drag & drop your video to your newly created album. 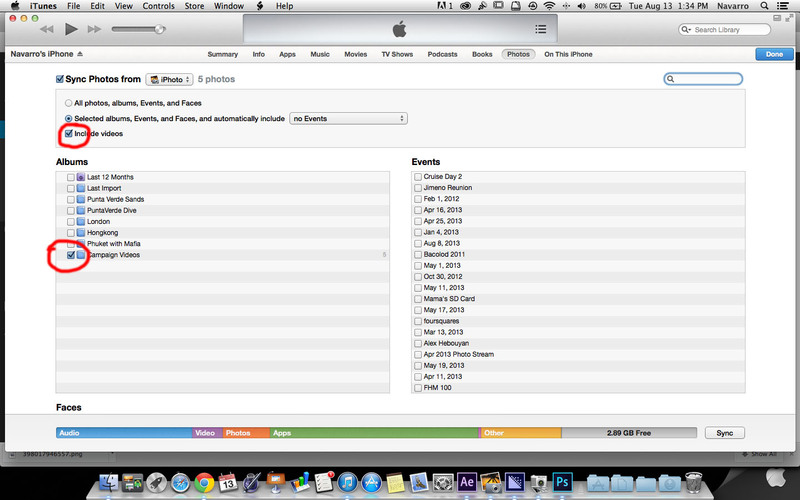 Next, go to Itunes and sync your Iphone to your newly created album. Make sure to check “include videos”. Then click “SYNC”. This uploads your video to your camera roll in your Iphone. Next, open up your Instagram App. Add a new video and select it from your camera roll. Then click next to upload. That’s it! I hope this tutorial is a big help to anyone who wants to upload their edited videos from their laptop to instagram.